Neither Marko or Alana are around the home as much these days. Alana’s drug use causes a slight mixup at work, which catches a recently-absent duo’s attention. Prince Robot IV meets with his daddy, and things fall apart even further at home and even more so at the studio. Also, Friendo! All joking aside — I’m only half joking about the wine and bath, btw — Saga continues to astound in its depiction of the highs and lows of family life, as it provides an intensely realistic, heartfelt, heartbreaking look at a relationship unraveling under the stress of day-to-day life; all this from a sci-fi / fantasy series complete with robots, aliens, and monsters. Vaughan writes emotional and intensely personal dialogue, which leaves the reader sympathizing, at least to a minor degree, with every character in the book. Marko has cause to be upset about his wife’s drug use around their daughter, but then Alana is well aware that Marko’s romantic attention has strayed. Prince Robot IV has a whole mixed up history spurring him on to some of the horrible things he has done, and I can even sympathize with Dengo, who has justifiable reasons for being upset with the status quo, although his actions are reprehensible. There is no black and white, no hand-wringing villain out to enact wickedness for the sake of being wicked. The characters in this world are complex, oftentimes making mistakes knowing full well they shouldn’t be doing what they are doing. Saga is one of the most “real” comics I have ever read, and this is in spite of plant women, gargoyle bosses, sentient and emotional robots with televisions for heads, and the magnificence that is Friendo (Friendo!). 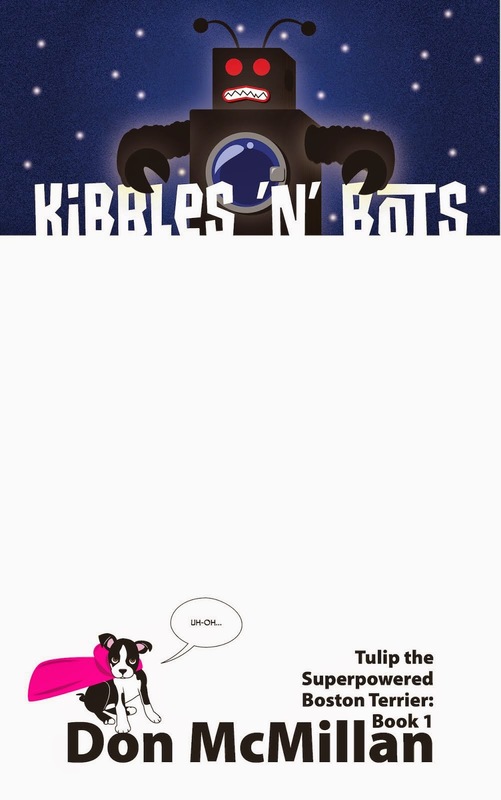 As for Staples, her flawless storytelling skills keep your eyes flowing through each scene, but her tremendous character designs — the double-page spread of King Robot must be seen to be believed — will give you reason to slow your reading to appreciate each character, as will the beautiful color palette that brings it all to life. But, as I have said practically each issue, it is Staples’s mastery of character acting that hammers home the gravity of each scene. This is especially true during Marko and Alana’s fight near the end of this issue. The facial expressions compound the force of Vaughan’s dialogue with the three panels following what Marko does (sorry, not gonna spoil) showing you just how bad things have become. Ugh...see? Now I’m all upset. Sipping my wine. Lounging in the bath. Reading my Saga. Letting the tears fall into the tub. But you know what, denizens? I wouldn’t have it any other way. If you are not reading this series, then by now you know you should be. It’s sci-fi, fantasy, romance, war, and comedy (not so much in this installment, though) all rolled into one finely-tuned package. You can pick up three trades now, or splurge for the hardcover of the first 18 issues that is set to release in November. 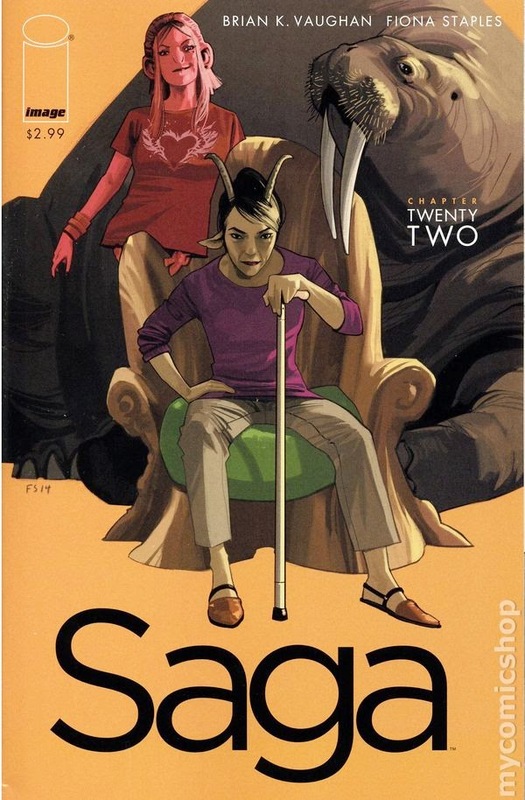 The most important thing to know about Saga is that it is definitely worthy of your time. I hope you have some bubble bath ready. VERY HIGHLY RECOMMENDED! Low #2 - Written by Rick Remender, illustrated by Greg Tocchini, lettered by Rus Wooton, edited by Sebastian Girner, published by Image Comics. I love the first issue of Low — I hope you were able to find a copy, it blew out of stores quickly. That issue ended with a tremendous cliffhanger that left me desperate to see what happened next with the Caine family and their plight. I was in no way prepared for the turn the story took in the second issue. That is a great thing, indeed. Ten years have passed since the terrible events that led to the abduction of Stel Caine’s young daughters, and the tragic fate suffered by her husband, Johl. Now, Stel is alone and her only child, Marik, now an officer of the law, will not visit her. As Marik relays a terrible truth, his life begins to fall apart, as Stel’s hopes are lifted by a timely communication. 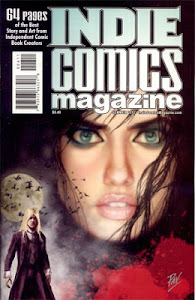 The creators take a chance and jump ahead ten years on this second issue, which in a sense makes the first issue a prequel to the story we are now being told. Last month we were introduced to the Caine family and fell in love with them before everything went all to heck. Now, instead of picking up where we left off, we come late to the game and are down three family members, with the mother and son barely on speaking terms. No progress has happened with rescuing Stel’s daughters, as the pirate who stole them is long gone. This issue focuses on Stel’s desperate grasp to maintain hope in a situation that is utterly hopeless. Remender and Tocchini do a wonderful job filling the reader in on what transpired: Stel barely leaves her home, Marik has succumbed to corruption, the days are numbered for the city of Salus. The most difficult part of the story to read is what actually happened between Stel and Johl, and their unbelievably tough conversation near the bottom of the ocean. Remender’s dialogue carries great emotional heft on its own, but when paired with Tocchini’s gorgeous art and his striking, warm color schemes I was drawn into the creators’ world deeper than before. I could not help but give a sigh of disappointment that the end of the issue came much too soon. Each page is beautiful — including a couple that are definitely not for kids — especially when focusing on Stel or on the wondrous technology and architecture that surrounds her. You need to be reading this adult-themed, sci-fi, underwater adventure, but I have a suspicion that finding the first issue will be a chore until the reprints arrive. Next month cannot come soon enough. VERY HIGHLY RECOMMENDED! Black Science #8 - Written by Rick Remender, illustrated by Matteo Scalera, painted art by Dean White, lettered by Rus Wooton, edited by Sebastian Girner, published by Image Comics. Speaking of books taking an unexpected turn…I never expected what happened at the end of the first arc. No siree, Bob, not at all. 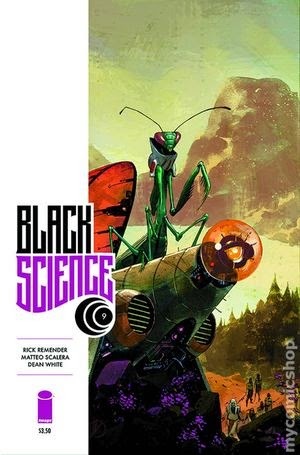 That said, the action-packed thrill ride that is Black Science does not appear to be slowing down anytime soon. Pia and Nate are on their own in a hostile jungle, as the surviving adult members of the group argue over how to proceed. The techno-shaman offers a look at his history and the coming of the pillar to his world. Can the adults pull their act together and find the kids before the jungle’s mysterious inhabitants do? The next jump is in three days. Another blast of an issue, with weird creatures and phenomenal action sequences from Scalera, perfectly coupled with Remender’s look at the dysfunctional relationship of the adults in the group. The huge win of this issue, however, is White’s mesmerizing color palette, especially when he pulls in the magical purples and the crisp, cool blues like on the double-page spread title page…which I wish I had blown up and hanging on the wall above my computer. I also have to point out White’s colors on the techno-shaman’s flashback scene to which he adds some great distressed effects to further envelop the reader into the character’s memory. Black Science does not appear to be slowing down in the slightest, even with the loss of the main character. I can’t wait to see what surprises the creators have in store for us next. HIGHLY RECOMMENDED! The Sixth Gun #42 - Written by Cullen Bunn, illustrated by Brian Hurtt, colored by Bill Crabtree, lettered by Crank!, designed by Keith Wood, edited by Charlie Chu, published by Oni Press. The end is nigh, as the Grey Witch’s agent, Jesup Sutter, has gained control of the six cursed guns, and they are poised to open the seal to a new world of their making. Meanwhile, the Knights of Solomon gain information from a horrifying source. Becky, Drake, and Screaming Crow determine their next move, but their chances of success are slim. Not a whole lot happens in this issue, which is not to say it is anything less than superb. 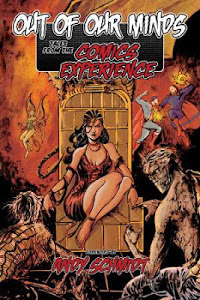 The creators give us a glimpse of the nightmare-inducing King of Secrets as beautifully designed by Hurtt who inserts intricate keys and locks into the creature’s clothes and helm; the King’s priests are equally disturbing. Hurtt also shows us a Mayan-influenced temple devoted to the Grey Witch, complete with a stron serpent and skull motif. Each setting comes to life via Crabtree’s signature coloring style, providing cool blues to the king and an impressive array of warm colors for both the temple and what remains of our heroes. The Sixth Gun is poised to begin its final steady march to the series finale. I can’t wait to see how this Donist World darling wraps up, but at the same time I am filled with a sense of dread that one of the best indie comics on the stand is rapidly approaching its end. 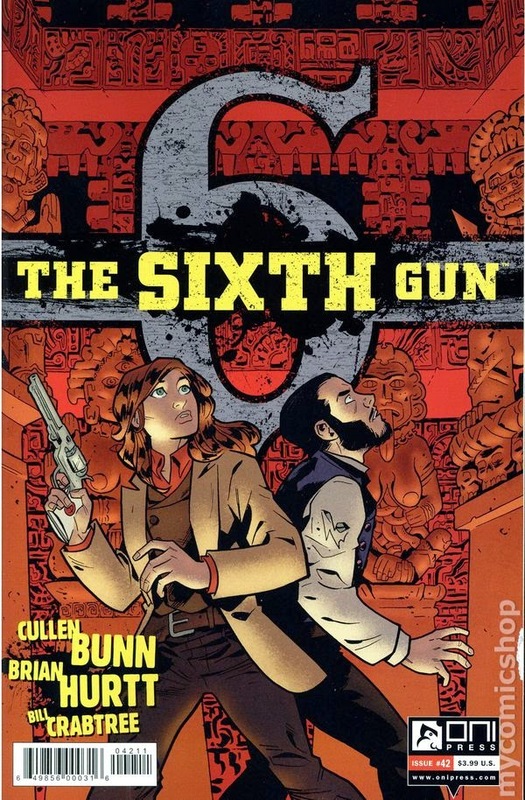 With any luck, the long-teased The Sixth Gun television show will arrive to fill the void left by this fantastic comic. HIGHLY RECOMMENDED! The Knee Defender Debacle - I am a 6' 2" tall man, and I have been the victim of the dreaded “entitled recliner” on many flights. Oftentimes, said recliner has been a 3' toddler who could more comfortably lie across their seat with their head on the parent’s lap. Other times, it has just been me divining the future of my irritation in the shiny bald head of the short guy in front of me with his seat fully reclined. Then the Donist World intern (my wife) told me about the Knee Defender devices and the United Airline battle that grounded a plane recently. My first thought was that I needed to order a pair of the devices, and I assumed the intern would take my side, but she didn’t, saying that reclining helped her feel less ill on a plane. We went back and forth over who was right and realized that neither would ever see the other’s point of view. It then occurred to me that the Knee Defender is actually a foreign object brought onto a plane, that alters the design and functionality of the airline’s property, which leads me to believe the devices should be banned. Now, this does not mean that I believe everyone should recline as far back as they wish without being a gosh-darn human being about it and checking the situation behind them. If you look back and see a 3' tall toddler sitting behind you, then go for it. If you look back and see a 6' 7" high school basketball player* behind you, maybe have the grace to realize that you can somehow manage to live through THREE WHOLE HOURS of sitting upright. I mean, c’mon, I assume you work somewhere for extended periods of time that has zero qualms about making you and your life as uncomfortable as possible. It’s most likely only about three hours. If it’s a five hour flight, then get up and stretch a few times; you’re supposed to do that anyways. Just to be fair, I also don’t have sympathy for the corporate warrior pounding away on their laptop and shaking the seat of the person in front of them for hours on end. Unplug for a while. Read something fun instead. The thing is, no one is right in this situation, but there is someone you can blame: the dang airlines. Flying was definitely a MUCH better experience a couple of decades ago. I have a personal list of reasons why this was so, but this problem falls upon the airline’s bottom-line decision to lessen space between seats, so they could add even more passengers. Cha-Ching! Yes, seats can recline, but nowhere in the airline terms and conditions does it guarantee someone in economy class ANY degree of comfort. If you’re upset about the airplane experience, it’s usually the airline’s fault. Just remember to be kind and courteous to your fellow passengers and to the poor vastly-underpaid attendants. Here are two articles from The New York Times: one for, and one against. *This actually happened on a flight I was on. I saw the monstrous kid sitting across from me, and the woman in front of him tried to recline and couldn’t because of his knees. She whipped around angrily and said, “Would you mind letting me recline my seat?” The kid was incredibly polite and replied in his Southern accent, “I’m sorry, ma'am, I’m six-seven. I already can’t even move as it is.” The woman huffed and puffed, but when she turned back around it was clear to see she felt like a total a_hole...good.